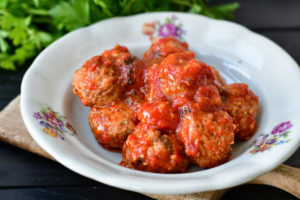 The meatballs with tomato sauce are a classic “grandma’s dish” that brings together everyone, perfect for a cheerful and tasty family meal. It is one of those dishes that refer to childhood and always please everyone. The meatballs are a second course of the Italian tradition but each family has its own unforgettable and precious recipe. 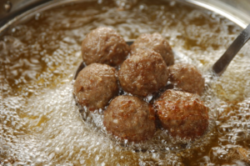 Good for lunch as for dinner, with family or friends, freshly made or heated, the meatballs recall the conviviality and put the good mood. 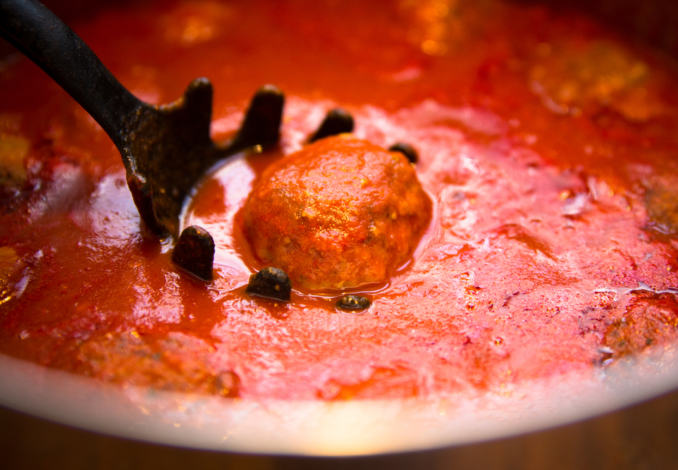 To make the Grandma’s meatballs deprive the bread slices from the crust, break them and let them soften in a bowl with milk. Let them rest and then mash with a fork. If there is excess of milk, squeeze the crumb and eliminate it. 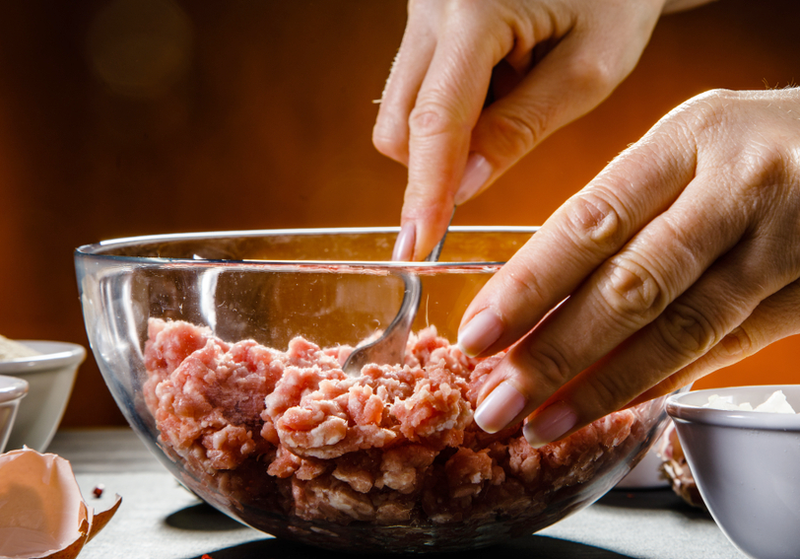 Add to the bread the minced meat, the Parmesan cheese, the egg and season with salt. Knead well with your hands until you get a homogeneous mixture. 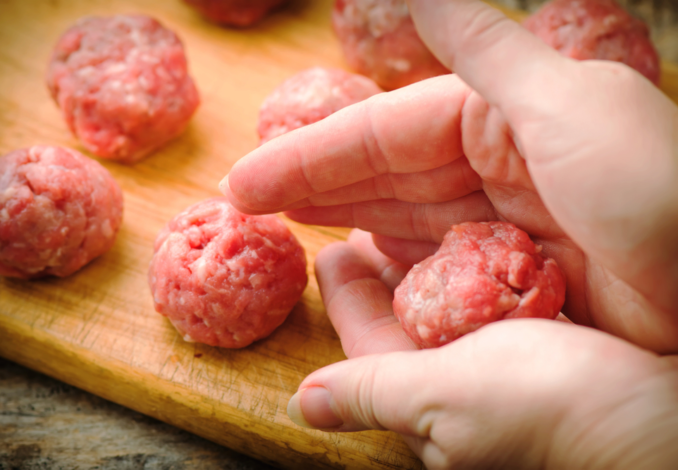 Take the mixture and form with the hands round meatballs of the size of an egg. 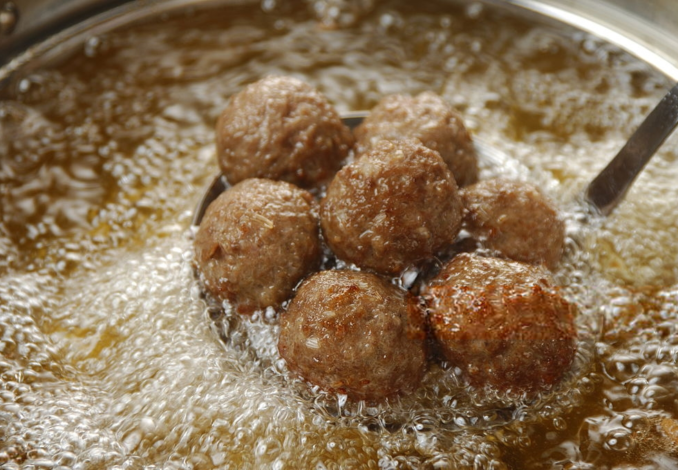 Heat the oil in a pan and brown the meatballs on all sides for a couple of minutes. Add the tomato pulp with the concentrate and a pinch of salt. Mix well, cover and cook for 20-25 minutes over low heat. Halfway through cooking, turn them so that they cook evenly and without sticking. Transfer the Grandma’s meatballs on a dish and serve hot. If you increase the doses of tomato sauce and reduce the size until you get very small meatballs, will be a condiment for amazing pasta! 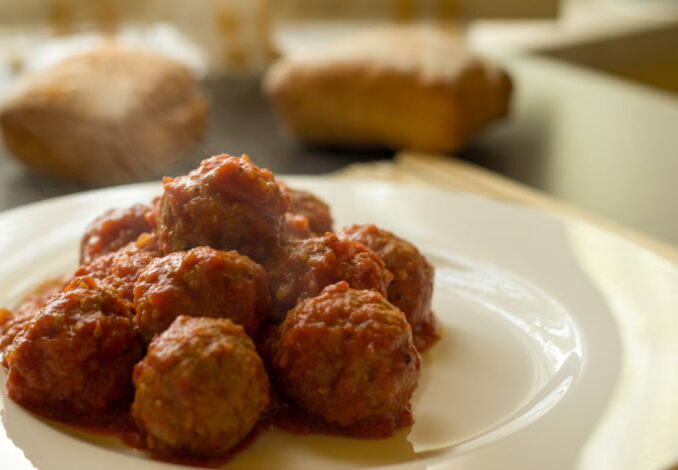 Meatballs are delicious also without tomato sauce and accompanied by plain yogurt or potatoes or any kind of vegetables. 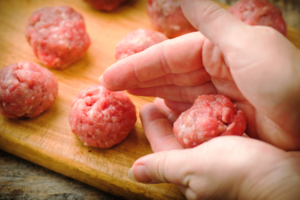 To make a “light” version of the meatballs you can also cook them in the oven, better add to the recipe another egg in order to make the mixture more compact.